Dr. Katerina Gallus and Dr. Trent Douglas discuss the importance of using sunscreen daily as well as what makes up the best sunscreen. 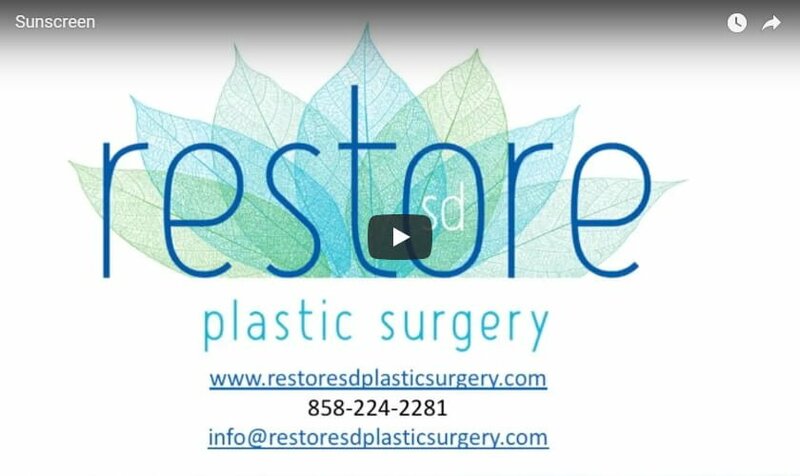 Hi, I’m Dr. Katerina Gallus with Restore SD Plastic Surgery and today I’m joined by my partner… Dr. Trent Douglas. As the summer months approach, we’re here to talk to you about sunscreen and its importance. We recommend using a mineral base physical sunblock. These come in both tinted and non-tinted formulations, and can be applied to just about any skin tone. It’s important that your sunblock be at least an SPF of 30 and that you should reapply it every two hours while in the sun. We recommend using a dime sized volume for application to the face, and more of a shot glass sized volume for coverage of the whole body. To learn more about sunscreen and skin care, please visit us at Restore SD Plastic Surgery.